At the beginning of last month Wargaming.net unleashed information on a massive number of changes heading to the critically acclaimed World of Tanks throughout 2014. The first of thsoe changes is now upon us with the immediate release of World of Tanks Version 9.0. The highlight of the new update is the introduction of a brand new game mode, Historical Battles. This exciting new battlefield opportunity joins the already impressive lineup of modes in World of Tanks such as Team Battles, Tank Companies and Random Battles. The new Historical Battles mode will give players the opportunity to test their abilities on historical fields of battle from throughout history. Players vehicles will be automatically modified to better suit the technology of that particular battle. 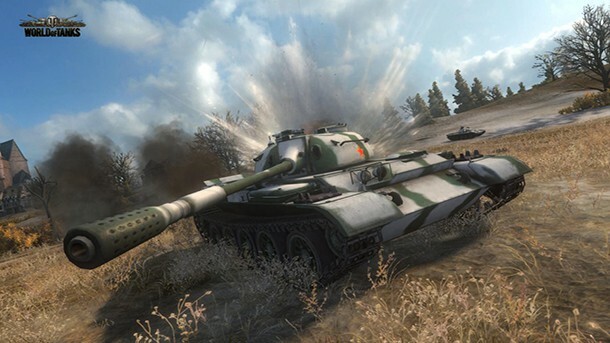 The World of Tanks Version 9.0 update also sees the debut of new high definition tank models. A total of 10 vehicles have been treated, drastically increasing the quality of textures and animations with each of the updated vehicles. Finally several of the more popular maps have been adjusted with minor changes to layout and some graphical tweaks.